Don’t be left out!! Register and SECURE YOUR SPOT!!!! Last year had a waiting list and had to turn people away!!! Don’t wait!!! 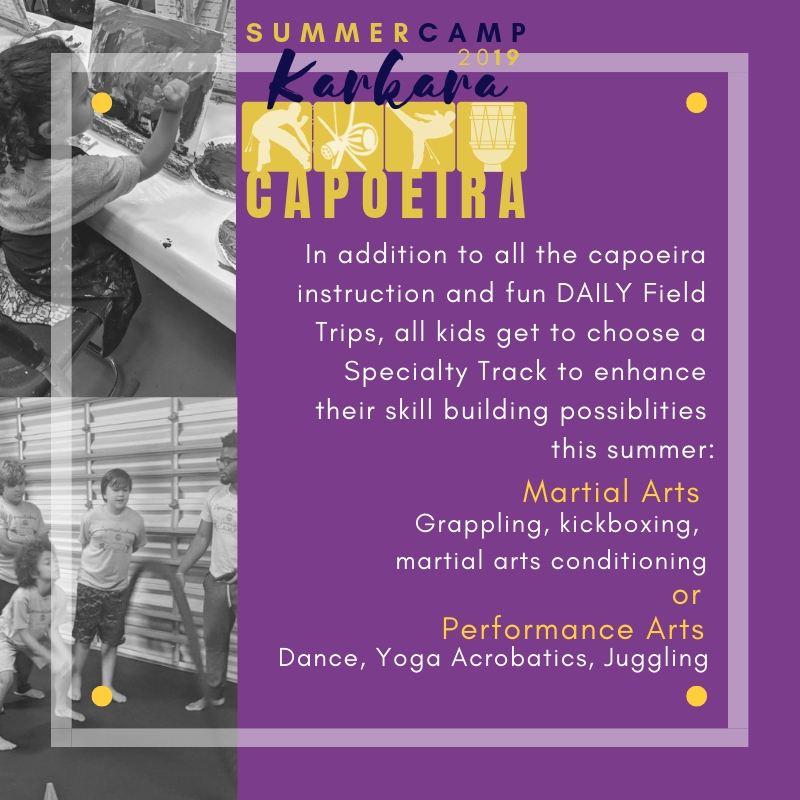 Besides daily training in Capoeira and/or the Specialty Area of choice, we go on field trips to places such as: Adrenaline Trampoline Park, Monkey Joe’s, Water Parks, Rollerskating, Movies, Mini Golf, Painting Class, Zoo, Pools, Splash Parks and more! Steps To SECURE YOUR SPOT! 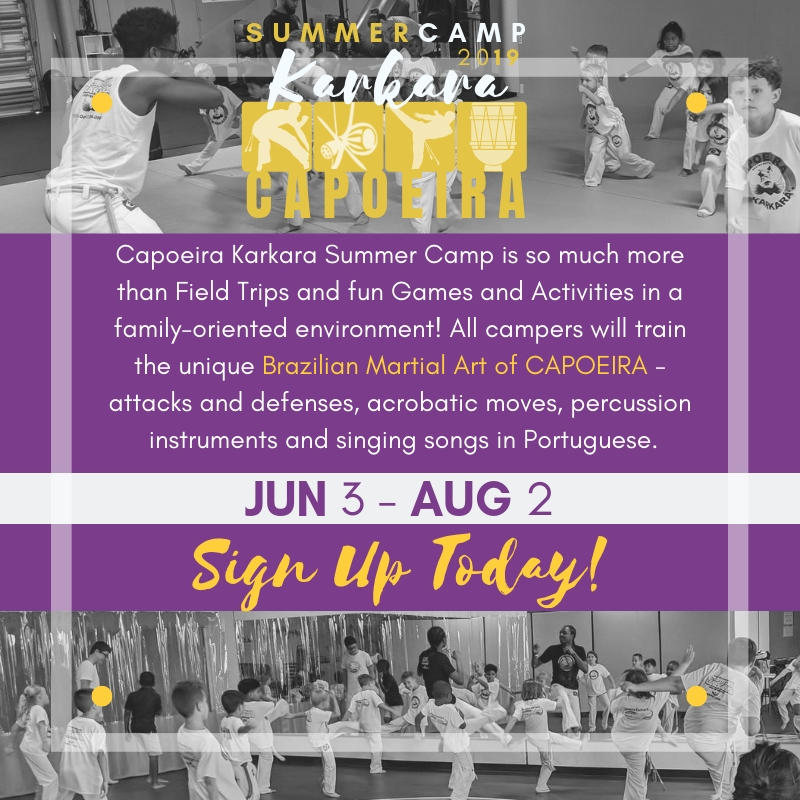 Capoeira is both a performance art and martial art. 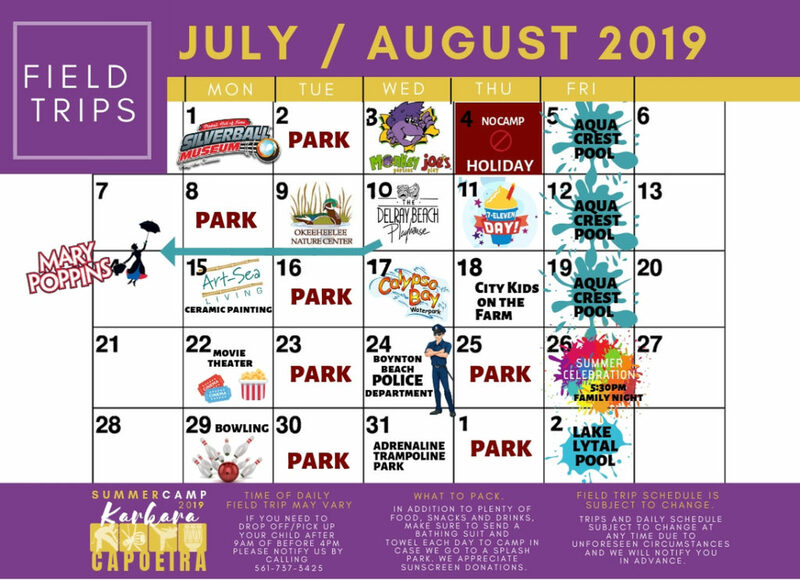 This year we are offering specialty tracks focused on each path! So your child get’s to choose which specific area to focus on more during enhanced training classes. with Daily Classes, Activities and Field Trips! Extended hours from 7:30 am – 6 pm are also available AT NO EXTRA COST TO YOU!!!! 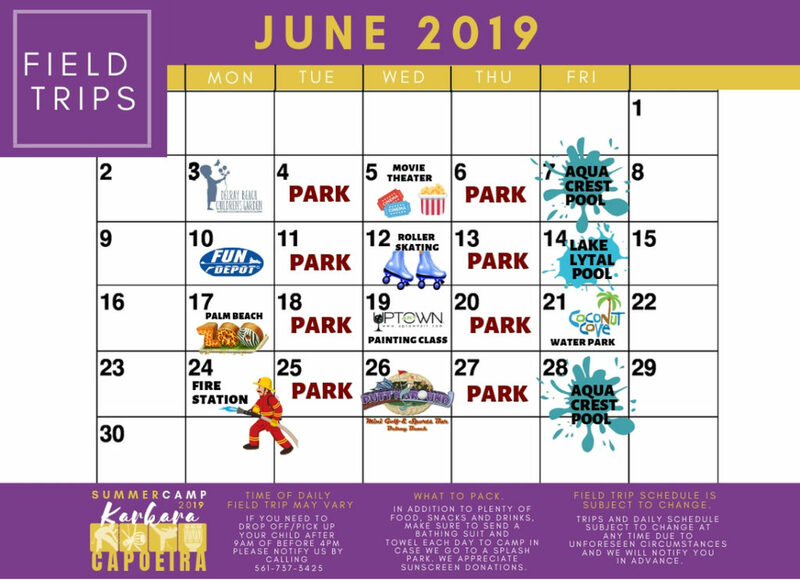 Must Sign up for Extended hours when you register for camp.